Good evening! I forgot to mention this in the last comment I left on your blog, but like I said I'm a student at the University of South Alabama. I am currently enrolled in a class called EDM310. In this class we are learning about how technology can not only be an effective tool in our classroom, but in our career as well by creating a network of fellow teachers and other experts. I will be summarizing the post I have commented on and my own comments on my blog Emily Rodrick's EDM 310 Class Blog. If you would like more information, check out the class blog at EDM 310 Class Bog. I enjoyed reading your take on the classroom setup. As a student, the feel of the classroom can come from the way it is set up. It's always interesting to walk into a classroom that isn't set up in the traditional row of desk. it can be frustrating as a student to have your back turned away from the board, but I like how you are trying to get rid of "the front of the room." There is limited space in a classroom, and I don't believe you can please every student. The chair you received as a gift looks awesome. 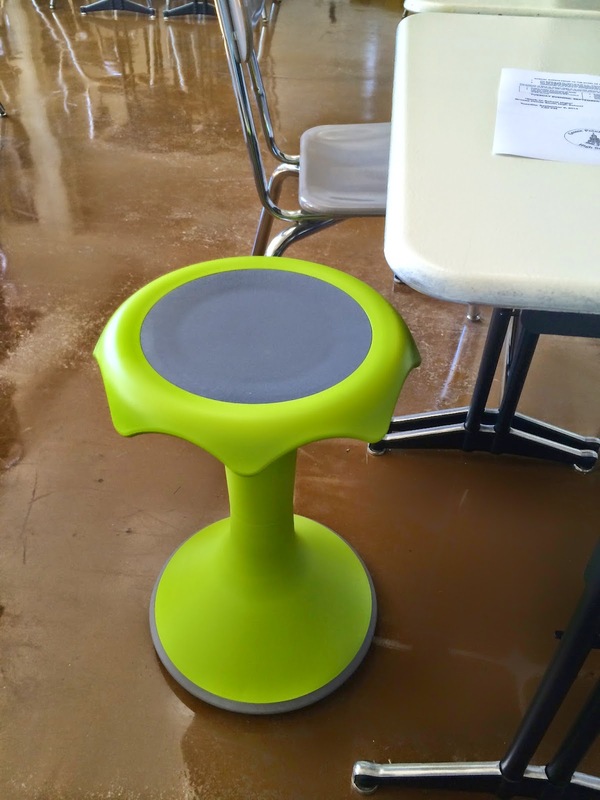 It looks like a normal stool but after visiting the website I have to say I'm going to need one in my classroom. Not only does it have a funky, fun design, but it is also functional. Looking forward to your #Nerdycast on youtube and future blog posts!